The walls of Chez Retroculturati enjoy a bookish theme or two and thanks to the good people at Penguin I now have framed collages of some of their classic book cover art. Last year they released some brilliant collections of postcards featuring their finest moments and other companies have since latched onto the idea. Now one can enjoy some classic Sci-Fi or cookery books throughout the twentieth century, love Children’s books? well, there is a Puffin collection too. Penguin ‘proper’ feature many of their earliest orange covers and some later covers from Edna O’Brien, Philip Larkin and J.G Ballard in a memorable collection spanning many decades. But for me the one collection which set the memory cogs whirling is the Pelican collection. Who of a certain age (I shall spare the specifics) does not remember the Pelican paperback? It was the go-to publisher for low cost non-fiction paperback books which covered a mass of subjects all bound in the most glorious nondescript covers one could possibly hope to see. Personally, I loved the artwork for Pelican, the 60s and 70s were particularly good. For me they symbolised the final years of school and sixth form, intermediate college courses and barely read presents for the budding scientist amongst us. 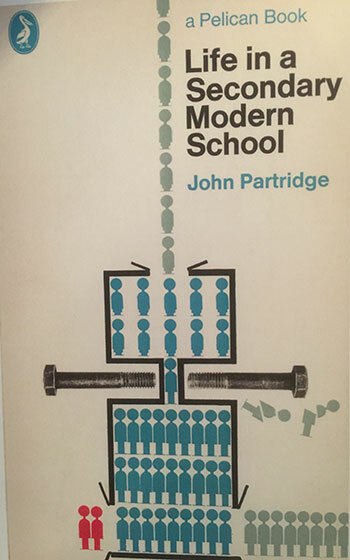 Often the covers were incredibly bland and uninspiring, others featured ‘models’ in classic 70s style pretending to be interested in chemistry or mathematics. In this collection of one hundred postcards, Penguin have recalled some brilliant titles with the most wonderful titles imaginable; Man and the Vertebrates:1, Riddles in Mathematics, The Death and Life of Great American Cities, How to Be Happy Though Human, Sense and Nonsense in Psychology, The Dolphin: Cousin to Man…you get the idea, there are countless others. Who could not help but think of bearded teachers in corduroy jackets reading out passages from books just like these? It is easy to poke fun but at the time of Pelican’s founding, the man behind the project, Allen Lane held a very honourable outlook on education and the provision of it at a cheap price so that all, rather than the privileged few could benefit from quality writing on every subject imaginable. And the books sold, by the time of its closure in the mid eighties (it has since re-launched) worldwide sales had exceeded two hundred and fifty million copies. Quite incredible for non-fiction.